When the U.S. Dept. of Energy’s long-awaited staff report on grid reliability came out in August, a lot of observers didn’t know what to make of it. In the long run-up to the report’s release, we at AEE had worked with our fellow industry groups AWEA, SEIA, and ACORE to challenge the premise of the study as ordered by Secretary Rick Perry, which was that the electric power system was in jeopardy due to the “premature” retirement of baseload power plants – namely coal and nuclear. When the report came out, it largely vindicated our view that cheap natural gas and slow load growth, not renewable energy policies, were forcing uneconomic power plants out of business, and that the changing mix of resources was being managed reliably by grid operators. This led some observers to call the report a “rorschach test,” allowing anyone to read into it anything they’d like, or even a “nothingburger” (check out the URL to this analysiss). But we at AEE saw in it just enough grounds for proposing out-of-market financial supports for these uncompetitive power plants that would turn electricity markets upside down – and our CEO Graham Richards said so, in a statement picked up by The New York Times. Lo and behold, on Sept. 30 DOE submitted a proposed rule to the Federal Energy Regulatory Commission (FERC) doing just that, and on an accelerated timeline. Since then, a broad-based coalition of industry groups – call them “strange bedfellows” – has been fighting back against this wrongheaded, costly, and unnecessary bailout of failing power plants. “The group of industry associations is so wide-ranging across industry segments that some might consider us strange bedfellows. Yet we're united in opposing this proposed rule,” said AEE’s Malcolm Woolf in kicking off the press briefing. Amy Farrell of AWEA, Christopher Mansour of SEIA, Marty Durbin of API, Dena Wiggins of NGSA, and Todd Foley of ACORE all offered comments as to why the proposed rule would slam customers with higher electricity costs for no benefit in reliability or resilience. The briefing contributed to coverage of opposition to the proposed rule in E&E News, Greentech Media, and Financial Times, among other publications. As Bailout explains, we are already investing a lot in improved reliability, defined as anticipating, preventing, and quickly resolving the kind of interruptions in electric power service that can happen even on “blue sky” days – everything from falling tree branches to squirrels gnawing on distribu­tion equipment to simple human error. This involves tree trimming, training, equipment maintenance, grid monitoring, and rapid response to iso­lated power outages. Increasing attention is also being paid to what is properly called “resilience” – maintaining or restoring power during or after what is called a “black sky” day, when the distribution grid is challenged by an extreme event such as hurricane, wildfire, or terrorist attack. 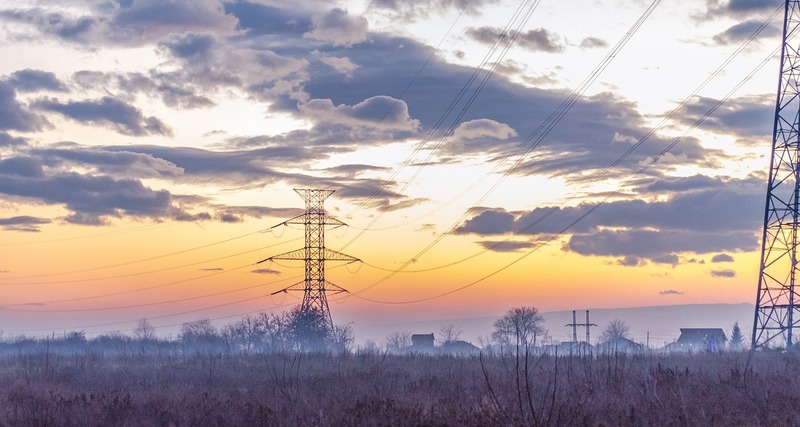 Transmission owners replace wooden poles in vulnerable locations with poles made of reinforced concrete, which are more re­sistant to wind, flooding, and fire. Power plant owners coat equipment with hydrophobic material that repels flood wa­ter and reduces ice build-up during ex­treme cold. Transmission planners build re­dundant power lines or place the most vul­nerable or valuable power lines under­ground. There are also increasingly elaborate plans to prepare for other catastrophic scenarios. But none of them focus on the “problem” DOE’s proposed rule purports to solve with onsite fuel supply. That’s because comprehensive analyses of outages in the last decade show that they are hardly ever the result of insufficient fuel supply. That said, there are ways that the electric system could, and should, be made more resilient, improving grid operations on a day-to-day basis at the same time. As the National Association of Regulatory Utility Commis­sioners (NARUC) has written, “resilient infrastructure does more than one thing well, because a resilience in­vestment needs to pay for itself and create value for ratepayers, even when it’s not being used.” Advanced metering infrastructure (AMI) is one example cited by NARUC, because it improves outage management while also enabling other applications, like demand response, that can be used in both emergency and non-emergency situations. But there are others – many of them forms of advanced energy. A well-balanced mix of flexible and renewable re­sources, including natural gas, biomass, solar, wind, geothermal, hydropower, and distributed resources like fuel cells, can work with traditional resources to provide electricity that is both low-cost and reliable. Advanced grid technologies are helping to integrate variable generation, increasing the output from these resources and am­plifying their contribution to resource ade­quacy, and providing the grid with other operational benefits. These technologies include energy storage, advanced metering infrastructure, demand response, distribu­tion automation, microgrids, high voltage direct current transmission, and smart grid management technologies. Meanwhile, de­mand-side management technologies, such as energy efficiency and demand re­sponse, reduce peak demand, thus lower­ing necessary reserve capacity and improv­ing resource adequacy. Rather than proposing continued develop­ment and deployment of technologies that offer actual resilience benefits, DOE has called on FERC to impose federal cost-of-service regulation for certain power plants in states that have explicitly chosen to rely on competi­tive markets instead. It would do so only for a narrowly defined set of power plants – those that maintain a 90-day supply of fuel onsite. Not only would this exempt some perfectly solvent coal-fired and nuclear power plants from the discipline of competi­tion and reward them with above-market compensation, it would bail out power plants that would other­wise go out of busi­ness as a natural consequence of competi­tive dynamics, all at ratepayer expense – estimated by The Brattle Group to be as high as $11 billion. This rule would also come at the expense of those market participants that are currently winning the competition – namely, high effi­ciency, low emission natural gas power gen­er­ation; wind and solar energy and energy storage, which are in­creasingly selected by utilities and corporate purchasers based on cost and price stability; and even demand management services like energy efficiency and demand response. These are all lower-cost, higher-value ways of meeting electric power needs, as demon­strated by market outcomes – and they con­tribute to a more reliable and resilient grid by increasing flexibility and fuel diversity. It is this market-based reality that the DOE proposed rule would overturn by federal fiat – and leave customers to foot the bill.